Dearborn is part of Emanuels's vision to install 645 miles of cycle track. With Bloomberg no longer at the helm in New York City, Chicago Mayor Rahm Emanuel has taken over the national spotlight as the most bike-progressive mayor of a major American city. 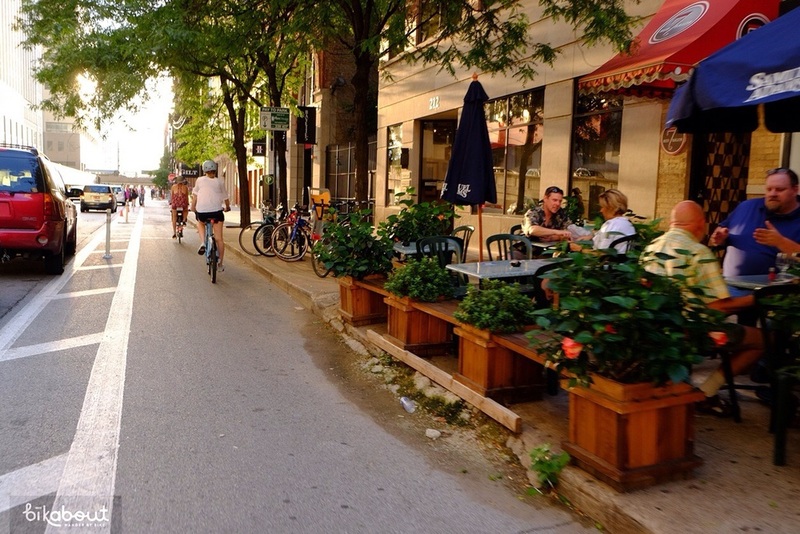 And while the biking experience is not yet up to the level of the world's best biking cities, it is getting closer by the month due to Chicago's aggressive goals. Make no mistake, bike infrastructure goals matter. Chicago has pledged to have 645 total miles of cycle tracks, with roughly the first 100 miles of it done by Fall of 2014. Neighborhood greenways continue to expand throughout Chicago, and they will add at least 175 more Divvy bike share stations to expand and strengthen the bike sharing network. A "Lakefront Flyover" pedestrian and bike bridge is in the planning stage, which will carry people safely over several current street crossing pinch points in elegant fashion. Another goal the city is aggressively pursuing is to add at least 800 new parks, with the 606 serving as Rahm Emanuel's signature project, in which a dis-used rail line will be turned into much-needed green space in the northwestern part of Chicago that needed it most. Add to all these bold plans the fact that Chicago is laid out on a grid, that 8 different "kiddical mass" rides happen in different neighborhoods each month, that it has over 18 miles of Lakefront Path gloriousness, and that Chicago is the only city whose Transportation Commissioner (Rebekah Scheinfeld) agreed to meet us while we were in town, and Chicago is already a compelling place to see by bike. And it will only get better. Big Star has delicious tacos and tequila drinks. During the summer, get there early, because the patio fills up quickly. 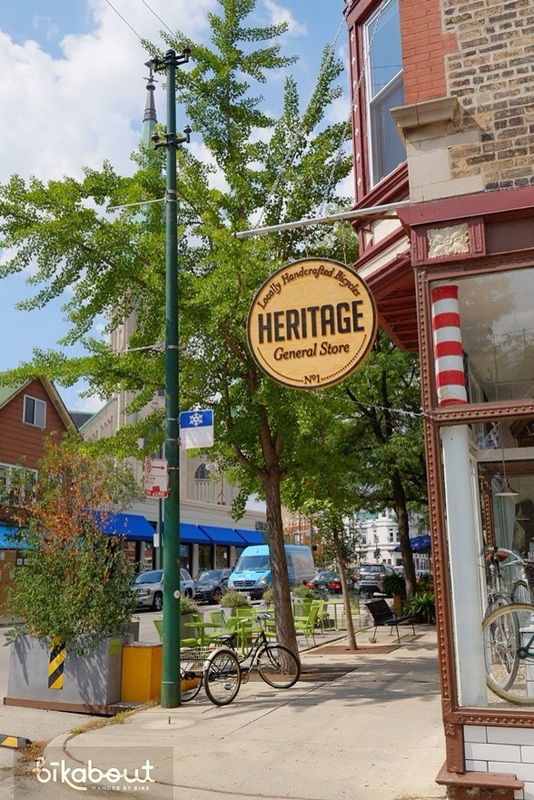 Heritage General Store is both coffee shop and beautiful bike shop with nice accessories. Field museum is expensive but it's situated on the Museum Campus, a scenic biking destination. Chicago Architectural Tour - so many buildings, so little time, so let the professionals do it for you. Plus, it's on a boat. Oz - tin man statue! Northerly Island - commands the best views of the city, yet helps you escape the hustle with 180 views of Lake Michigan. Older PostBeer (by bike) Friday is much more fun than "Black"